Microsoft is preparing two new releases for your Windows operating system. The first is an Update 2 upgrade to Windows 8.1, which you can reach from August to computadires. Have a new version that supposedly will be called Windows 9, was scheduled for April 2015, and shall return to the famous operating system Start Menu. The release date for Update 2 would be on August 12, according to the Russian PCPortal.org.ru site. Still do not know the exact contents of the update, but the site claims that it will bring new features and functions. Microsoft, chose not to comment, without confirming or denying the release date. What is the best Windows ever? Comment on the TechTudo Forum. However, other leaks suggest that Update 2 will be a minor update, focusing on bug fixing and improving the stability of existing resources. Initial plans were to include Microsoft's new Start Menu in Windows version 8.1 but the developer has delayed the return of the feature for Windows 9 The site MyCE got new screenshots of the version for developers -. 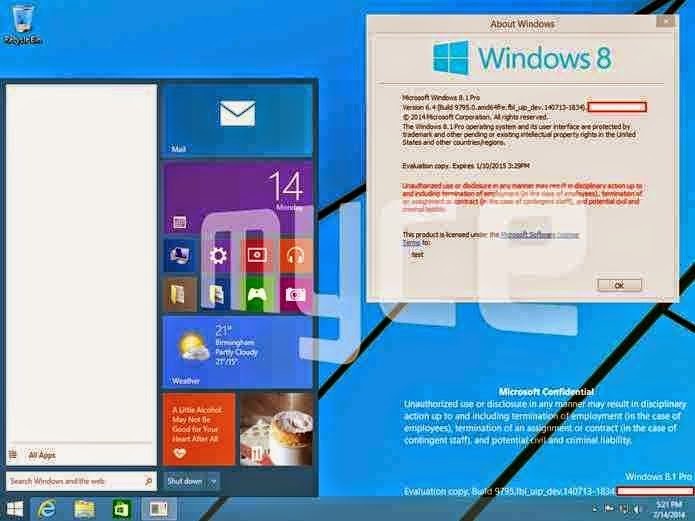 Provisionally called Windows 8.1 Pro or "Threshold "- showing the new operating system design, including the Start Menu. The format of the Start Menu is similar to what was shown during the Microsoft Build 2014 conference, with the addition of Modern applications (formerly Metro) style, which can be added to the menu. 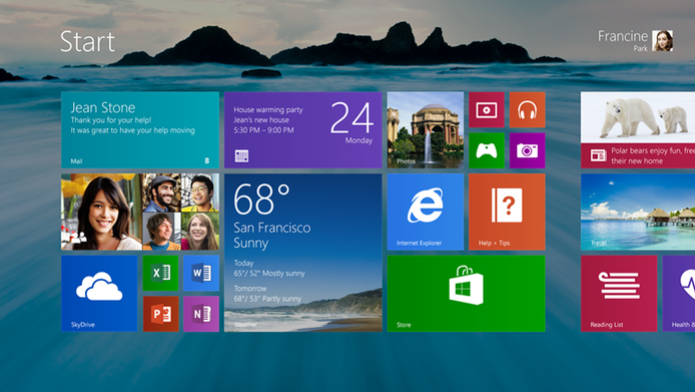 The expectation is that the new version of Windows will be available in April 2015.